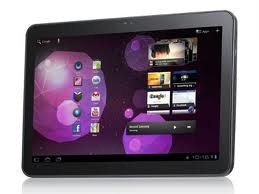 A couple of weeks ago, Samsung released the kernel source code for the Galaxy Tab 10.1. Two days after that, the first overclocked kernel for the Tab 10.1 - coming in at a scorching 1.4GHz - was released. You can clearly see why source code is so important to to the dev community, and today Samsung released the kernel source for the Galaxy Tab 10.1v. For those that are unaware, Samsung actually released a version of the Galaxy Tab 10.1 that never made it to US soil. After the arrival of the iPad 2, Sammy deemed this model as "inadequate" and quickly pulled, redesigned, and released it as the Tab 10.1 that we have now. The Tab 10.1v still lives on in Europe, and with the release of this source, can begin to get the same custom love that its American brother has been receiving lately. To download the source, head over to the Samsung Open Source Developer Center. Samsung Galaxy Tab 10.1 Touchwiz UX Update "Coming Soon"
Apparatus Developer: "Amazon Appstore Is A Disaster"